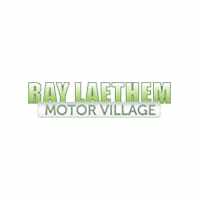 About Us - Ray Laethem Chrysler Dodge Jeep Ram | New & Used Cars " "
Thank you for viewing our Chrysler, Dodge, Jeep, Ram website! At Ray Laethem we strive to provide outstanding professional service in all areas of our automotive dealership. We are proud to present Chrysler, Dodge, Jeep, Ram models and are confident we can find the new car, truck, van, or SUV of your dreams. Looking for that certain 200, 300, Wrangler, Compass, Liberty, Grand Cherokee, RAM Truck, or Journey? We will do everything it takes to get you that model equipped with the features you desire. If you are in the market for a used car in Grosse Pointe, look no further! At Ray Laethem, we stock a large amount of high quality used cars to serve the Grosse Pointe region. We are proud to have certified and pre-owned vehicles ready for you to test drive today. We will also help with auto loans in Grosse Pointe and lease plans too. Our auto repair service, car parts and body shop departments at Ray Laethem can help get you back on the road as quickly as possible. Please visit Ray Laethem Chrysler Dodge Jeep Ram at 18001 Mack Ave and let us show you all of the Chrysler, Dodge, Jeep, Ram services we offer.